The Nigerian civil war movie Half of a Yellow Sun will finally premiere in its home country in August, the film’s producer announced on Tuesday. The move came after Nigerian censors had earlier refused to approve it, saying the movie could undermine national security. The censors had demanded cuts and it was unclear on Tuesday what changes were made to satisfy the National Film and Video Censors Board. 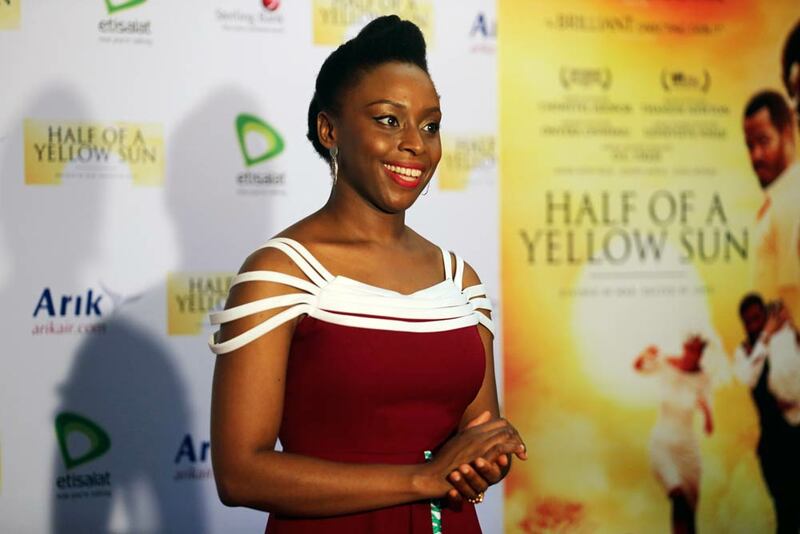 The movie is an adaptation of a novel by award-winning writer Chimamanda Ngozi Adichie that has been read by millions since it was published in 2006. But many more millions of Nigerians will be able to appreciate it now through the movie. The movie is partly set in the 1960s during Nigeria’s civil war, which remains a subject so sensitive that it is not taught in Nigerian schools. Many commentators on social media suggested the censors were afraid that the film could inflame tribal rivalries. The movie also comes as Nigeria is confronting an Islamic uprising that threatens to tear the country apart as tensions increase between Muslims and Christians, who make up almost equal parts of Nigeria’s 170-million people. The censors’ board confirmed it has cleared the movie for viewing by people over 18. A statement from producers Shareman Media and FilmOne Distribution announced the August 1 premiere and thanked Nigerians for their patience. About 1 million people died in the war for an independent Biafra for the Igbo people of the southeast. Many Igbos starved to death because food imports were blocked. At the time, leaders of the Igbo, who are almost exclusively Christians, accused the federal government of failing to protect them when Muslims from the Hausa tribe in the north slaughtered about 30 000 of them. Stephen Keshi had just finished repelling yet another query about the Nigeria player bonus payment issue when he wiped his brow, leaned forward and posed a rhetorical question. “Can I ask if you work with the CIA?” the Nigeria coach said, sparking muffled laughter all around. When it comes to African teams at the World Cup, the focus on football has sometimes taken a back seat to other distractions in Brazil. Strike threats. Pay disputes. Bomb blasts back home. Presidential interventions. That’s on top of several unsavoury incidents on the field, with a Cameroon player head-butting his teammate and high-profile Ghana players getting suspended for physical and verbal attacks in training. Yet somehow, through the turmoil, it has been the best World Cup for African teams in a way: for the first time, more than one of the continent’s representatives advanced to the knockout stage. And if Nigeria and Algeria win their round-of-16 matches on Monday, they would play each other to guarantee Africa’s first semifinalist on football’s biggest stage. Many have reacted with a shrug to the off-pitch shenanigans that have blighted African teams’ World Cup campaigns. Just ask France coach Didier Deschamps, who is preparing his team to take on Nigeria in Brasilia. Player disgruntlement over unpaid bonuses has followed the African teams around Brazil. Ghana’s president had to fly reportedly millions in cash to Brazil to ensure the team didn’t boycott a pivotal group game against Portugal. Cameroon refused to travel to the tournament until a dispute over appearance fees was resolved. Most recently, Nigeria players’ concerns over bonus payments contributed to a training session being cancelled on Thursday and the country’s president, Goodluck Jonathan, having to intervene from long distance. Hence the barrage of questions to Keshi on Sunday. Nigeria is thriving on the pitch, despite tragedy back home. A day after its first group game, a bomb blast at a World Cup viewing site in Damaturu, northeast Nigeria, and killed 14 people. Last week, a bomb went off at a shopping mall in Abuja, the capital in central Nigeria, killing 24 people. For Ghana, Cameroon and Côte d’Ivoire, the misery has been confined to the field of play. The Ivorians were seen as Africa’s top hope but they again failed on the big stage, tumbling out after conceding an injury-time penalty that was converted by Greece in their final Group C match. It was seen as the last chance for the so-called “golden generation” of Didier Drogba, the Toure brothers and Didier Zokora at the highest level. The failure led to coach Sabri Lamouchi stepping down. The presidents of Cameroon and Ghana have called for investigations following disappointing World Cup performances. Cameroon lost all three games, scored just one goal and was shamed when defender Benoit Assou-Ekotto thrust his head into the face of teammate Benjamin Moukandjo against Croatia. 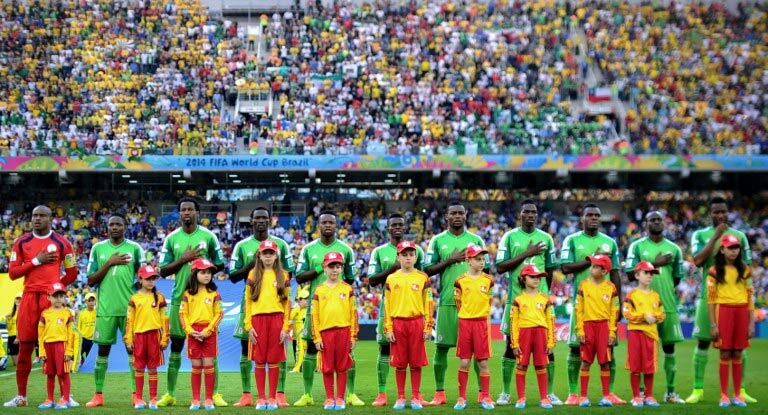 Since reaching the quarterfinals in 1990, Cameroon has won just one of 15 games at the World Cup. Ghana’s campaign ended in disgrace, too, with Sulley Muntari and Kevin-Prince Boateng thrown out of the squad on the morning of the match against Portugal for disciplinary reasons. 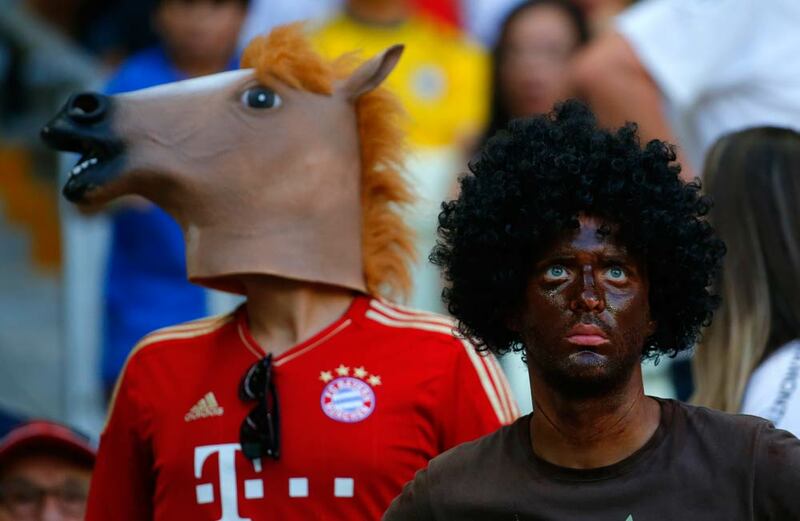 A 2-1 loss in that game meant Ghana failed to advance to the knockout rounds for the first time in three World Cups. It wasn’t long before Ghana President John Mahama also ordered an investigation, as well as replacing both the country’s sports minister and his deputy. Madinah Nalukenge recalls the day she set out to sell food on the filthy edges of a bus terminal in the Ugandan capital in 2004. She had just $10 left over from a failed attempt to sell bed sheets. 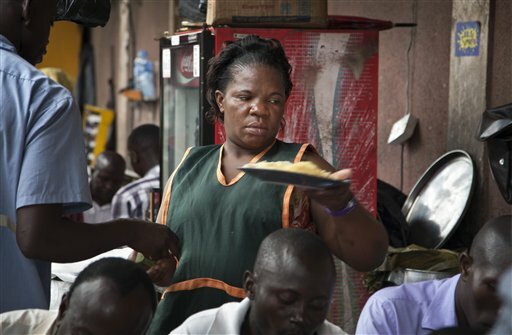 Now she runs a catering business that makes a monthly profit of up to $3 000, a source of pride for the 34-year-old single mother who spends her days offering plates of mashed plantain and greasy meats to transport operators in downtown Kampala. Her competition: More than a dozen other women operating food stalls next to hers. Nalukenge, who did not study beyond grade school, is part of a growing trend in Africa where more women are running businesses on a scale that was unthinkable a generation ago. Africa now has the highest growth rate of female-run enterprises across the world, according to the World Bank. About 63% of women in the non-agricultural labor force are self-employed in the informal sector in Africa, more than twice the worldwide rate, according to World Bank data, which also shows that necessity – not opportunity – is the main driving force behind female entrepreneurship in poor countries. Women often start by running informal retail or service businesses, but those who are more ambitious have created thousands of jobs in projects that break stereotypes about what women can do, physically and socially, in societies that are still largely conservative. “Traditionally women would sit at home and wait for the man to return home with a bag of groceries, but this has been changing over time as women’s dependence gradually reduces,” said Thomas Bwire, an economist with Uganda’s central bank. In a sign of the times, he said, Ugandan women now even work at road construction sites. 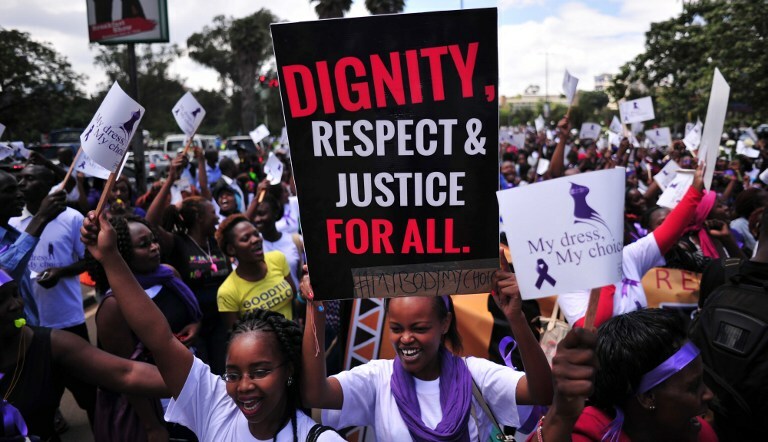 There are more women than men working in the informal sector in all of sub-Saharan Africa, according to the International Labor Organization. The UN agency’s most recent survey, released last year, noted that this is unlike other regions, including South and East Asia, where informal employment for women tends to be concentrated in home-based, domestic work. Some of the food vendors in downtown Kampala have remarkably similar accounts of what sparked their entry into private business: Hungry children, unpaid rent and some violent partners. Most of them have long been single or were recently in failed relationships, an important detail because many insist their businesses are succeeding in part because of their independence on the home front. Many of the vendors have also enrolled their children in boarding school to make more time for work. Development economists note that if more women are helped to join the labor force, especially through access to credit, they can be a powerful force for global economic growth. An estimated $300-billion credit gap exists for female-owned enterprises, according to the International Finance Corp. of the World Bank, which in March launched a $600-million fund to finance women-owned businesses in the developing world. The venture – dubbed the Women Entrepreneurs Opportunity Facility – aims to work with local banks in sharing risks and extending credit to 100 000 women entrepreneurs. Across sub-Saharan Africa, where poverty remains extreme in many parts, stories of successful women entrepreneurs are accumulating. A Kenyan woman, Mary Okello, is feted for starting, inside a three-bedroom house, what has since become a prestigious group of private schools. In Rwanda, Janet Nkubana has been recognised abroad for running a handicrafts company that employs more than 3 000 women whose baskets can be purchased at Macy’s. The Nigerian Adenike Ogunlesi is famous for her “Ruff ‘n’ Tumble” clothing line for children, a business that she first operated out of a car trunk. In Uganda, where most of the food is grown locally, many women have been drawn to catering, and their food stalls are ubiquitous at transport terminals and open markets. Unable to get credit from banks, often the women start “cooperative” groups in which they pool savings. Then they take turns getting loans. “The few who have ventured out have surprised themselves by succeeding,” said Ugandan economist Fred Muhumuza, who has been advising Uganda’s government on development policy. Rampant poverty, he said, is driving women to find ways of taking over “core family responsibilities” from men. Nalukenge, the food vendor in downtown Kampala, said she has kept her children in school and now owns two small plots of land. On a recent evening, as she prepared to clean up and pack her saucepans, she pondered her unlikely journey from failed hawker of bed sheets to successful caterer with a long line of loyal clients.